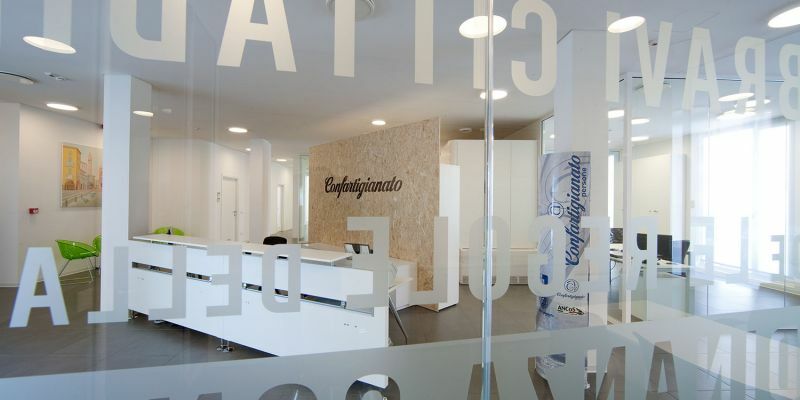 The Confartigianato Imprese - Province of Lodi was born in 1958, it is an autonomous organization based on the principle of free association and today represents more than 2100 companies belonging to 20 different sectors of activities. 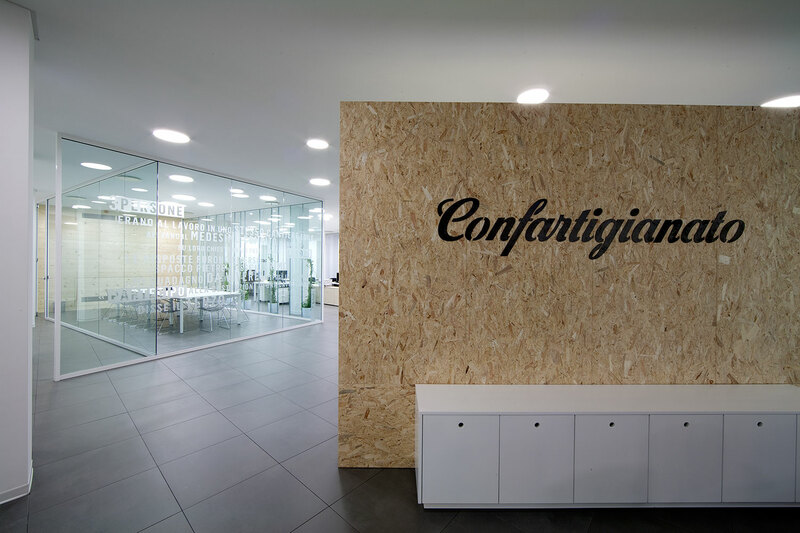 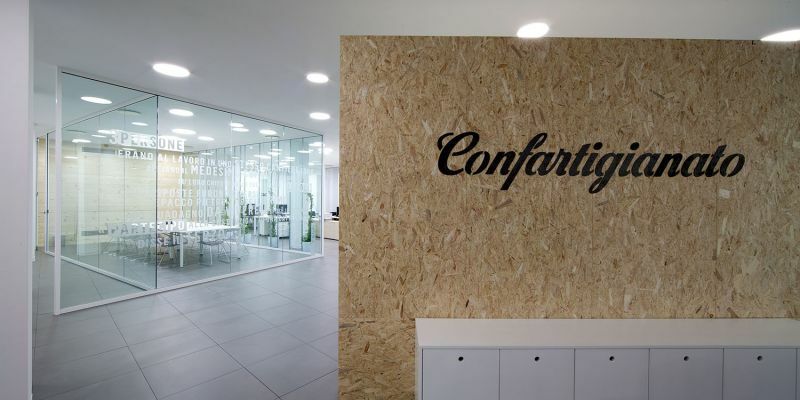 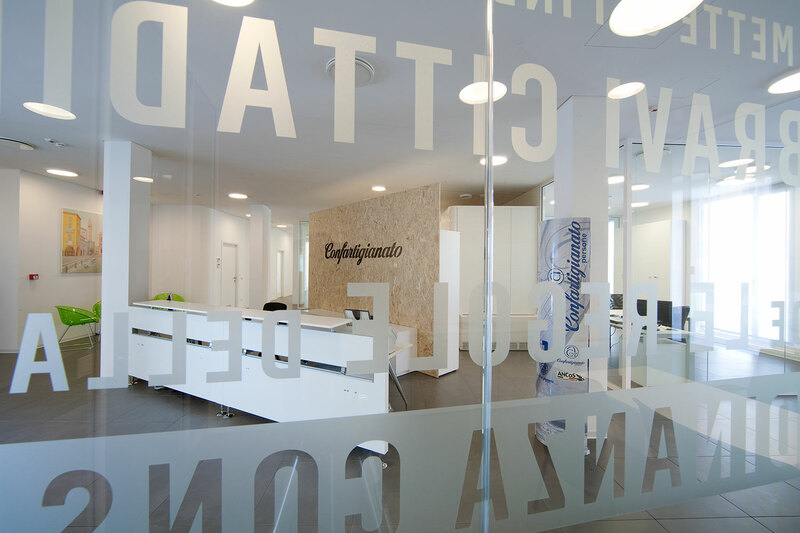 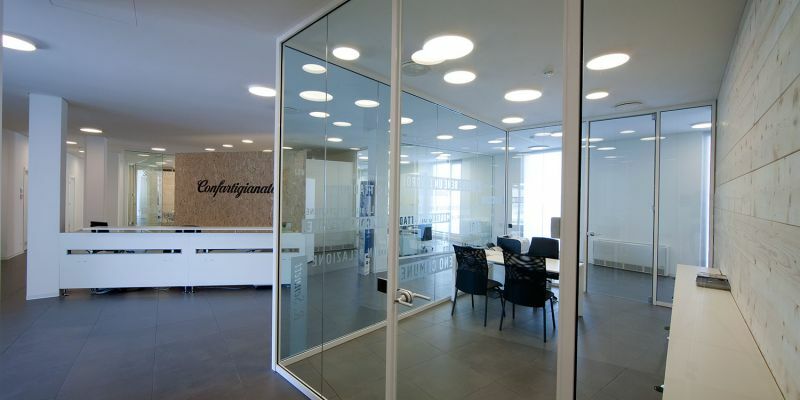 The new head office of the Confartigianato of Lodi was built on the structure of a supermarket, therefore on a quite large area that has been sectioned in spaces for an easier and more functional use. 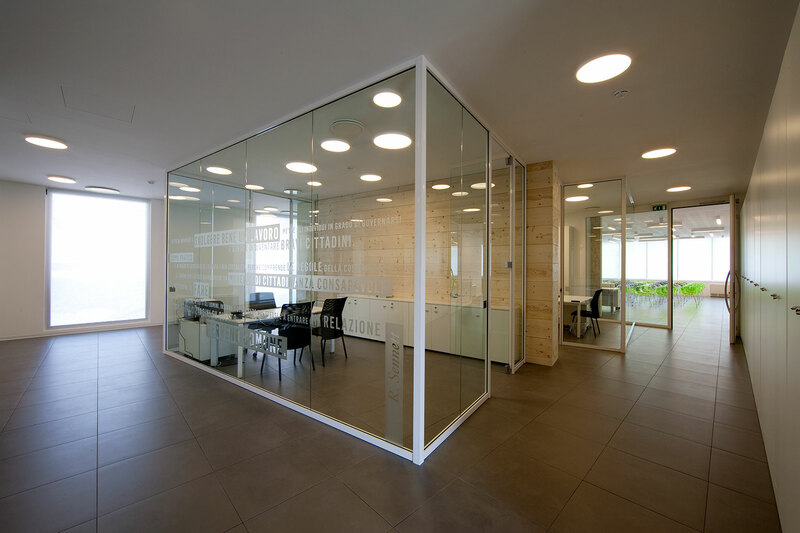 A place that has been properly thought as a flexible system of relationship between man and space, where natural light, glass and transparencies, the rhythms created by the movement of walls, the space that spurs and invites you to discover it are the frame surrounding the several activities carried out inside of it. 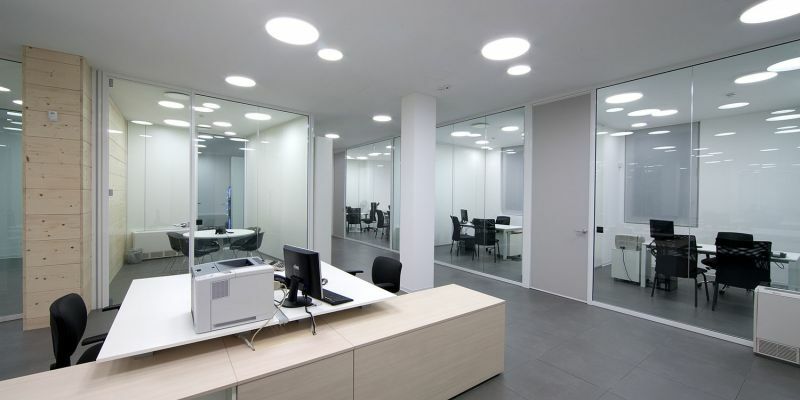 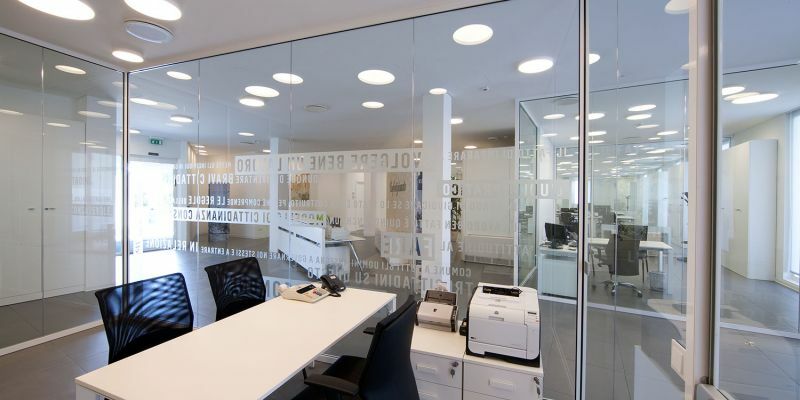 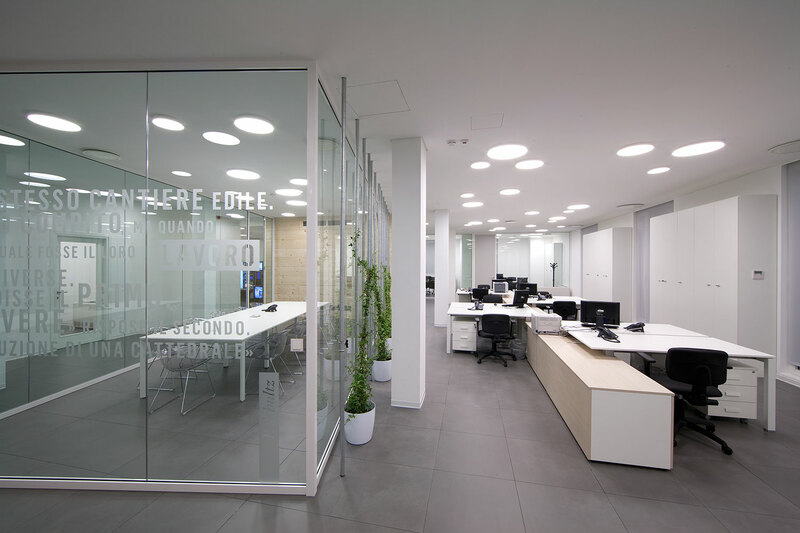 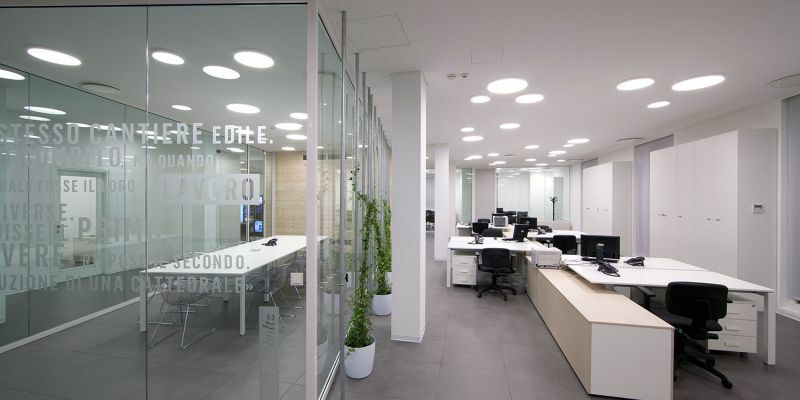 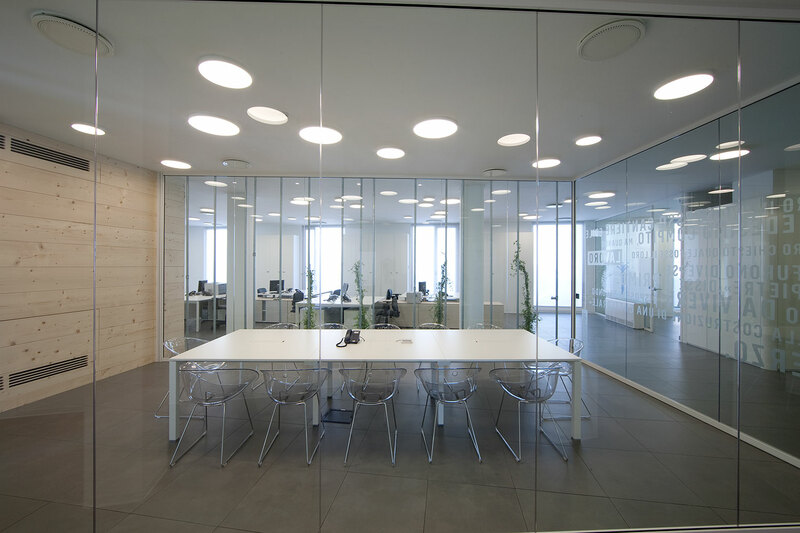 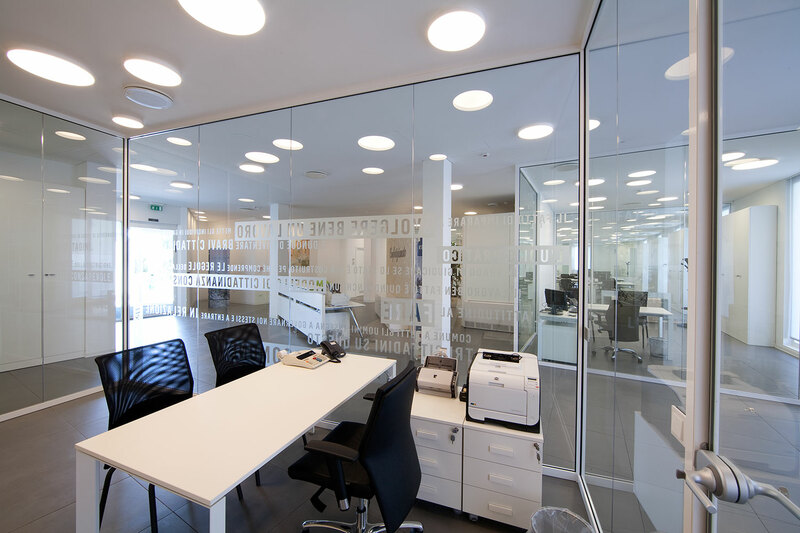 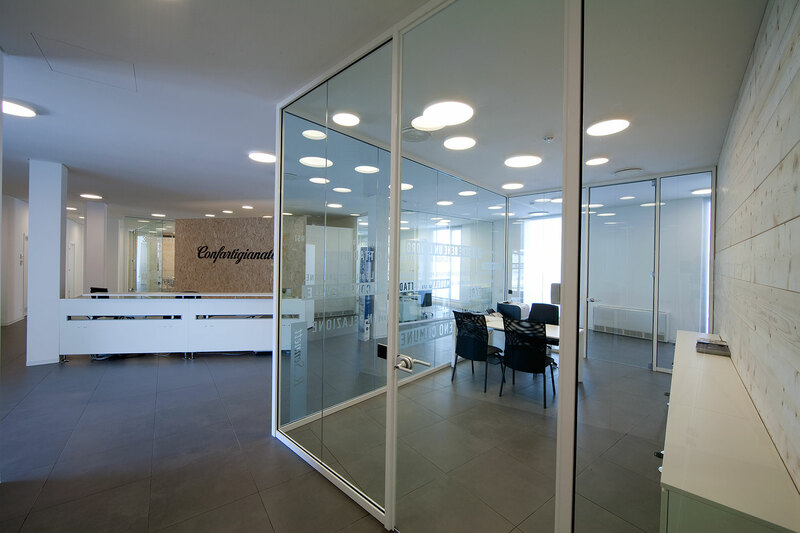 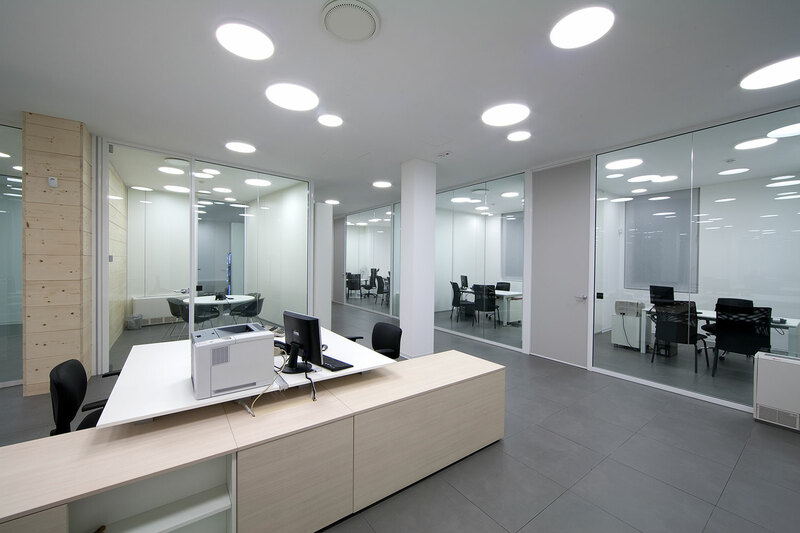 In addition to its functional role of guaranteeing the required illuminance levels for a proper development of working activities, lighting is also a means to enhance spaces and a guide in “living” the offices.